Temple Mount Troubles Continue | Have Ye Not Read? I hope you’re keeping your eyes fixed on what’s going on in Jerusalem, at the Temple Mount. If you are, you’re seeing what I believe to be, at the very least, a type of how the deadly wound of the book of Revelation will ultimately be delivered. As you likely know, last Friday two armed Muslim militants murdered to Israeli police officers on the Temple Mount, leading the Israelis to lock-down the Temple Mount and restrict Muslim access to it. Within a few days, after threats from both the EU and the UN, the shut-down was lifted by Israel, and Muslims were allowed to return to their mosque to pray. 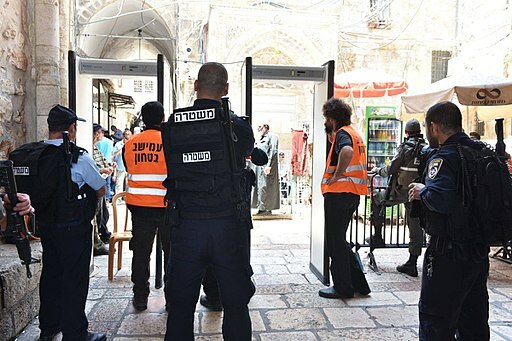 However, the Israelis instituted something new: Muslim visitors to the mount now had to pass through metal detectors. This was immediately decried as a “provocation” and an “aggression” by Muslims throughout the Middle East and the world. Of course, Israel militarily won the mount back from the Muslims during the Six Day War in June 1967. As I explained in an email alert last year, the Israeli flag was immediately hoisted over the mount at that time. But to avoid further war with the Arabs, Israel had the flag lowered, and ultimately appointed a Muslim organization (the Islamic Waqf) to oversee the Temple Mount. But Israel never really relinquished their conquest, and in temporary shows of military force they have shut down the mount several times over the ensuring decades. Whether that’s true, or not, remains to be seen. The Temple Mount Jews have demonstrated a striking propensity for exaggeration in the past. And Israeli Prime Minister Benjamin Netanyahu contests their assertion, saying his government has no intention to change the status quo on the Temple Mount. But sooner or later the deadly wound has to happen. And you can clearly see from the current tensions on the mount how easily the Arab world could be roused to “compass Jerusalem with armies” (Luke 21:20) were there to be a future Israeli military takeover of that Temple Mount. As I pointed out in my email this past Saturday, that would be your sure-sign of the arrival of the false Christ (i.e., the desolator) to heal the deadly wound and bring both parties – Islam and Judaism alike — under his religious umbrella of false peace. So keep your powder dry, but your eyes open. Things are continuing to get interesting in Jerusalem. Will Israel Cave on Temple Mount Security?